Spring, Texas – December 5th, 2017: The Houston Division of the FBI is asking for the public’s help in identifying the individual seen in the above photo. The suspect is wanted for a robbery of the Woodforest National Bank located inside the Walmart Supercenter at 3450 West FM 1960. 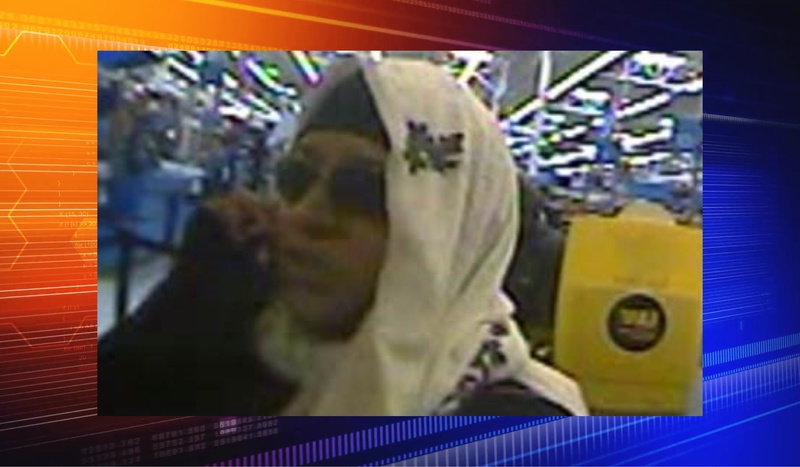 The suspect wore a large white scarf with brown and gold details wrapped around her head, a long black dress, and red & gold sunglasses. The suspect left the store in a new, small, white four-door vehicle. Make and model unknown.